The International Standards Organization (ISO) has launched ISO 22301, the new international standard for business continuity management, entitled “Societal Security – Business Continuity Management Systems – Requirements.” The standards create a formal set of requirements for business to undertake in the event of a disruption such as a major disaster. The new standard will replace the current British standard BS25999. • Improvement based on objective measurement. Training and certification for ISO 22301 is offered by the Professional Evaluation and Certification Board (PECB) and aims to allow business continuity professionals to develop the expertise needed to support the management of an effective BCMS system. “The main purpose of our certification program is to provide confidence to business and industry that certified consultants and auditors are competent”, says Faton Aliu, Executive Vice President of PECB. 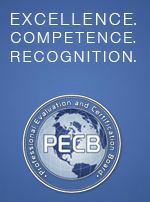 Professionals may work to receive ISO 22301 Lead Implementer Certification from PECB which ensures their competence and skills in implementing and managing a BCMS including risk management planning, surveillance, operation, improvement, and review. Further information regarding the new standard can be found at PECB.org/iso22301.